"I met Mindfeels for the first time in February 2018, and I even had the big joy of having them on the stage with me as my backing band for a concert in Italy. That very same day I knew that I wanted to make music with these amazing guys. My wish has come true and I am so proud to see the release of the song 'Dragging Me Outside' ". "Since from the foundation of Burning Minds Music Group last year, we've worked with big enthusiasm in order to support new valuable connections between the artists of our roster. 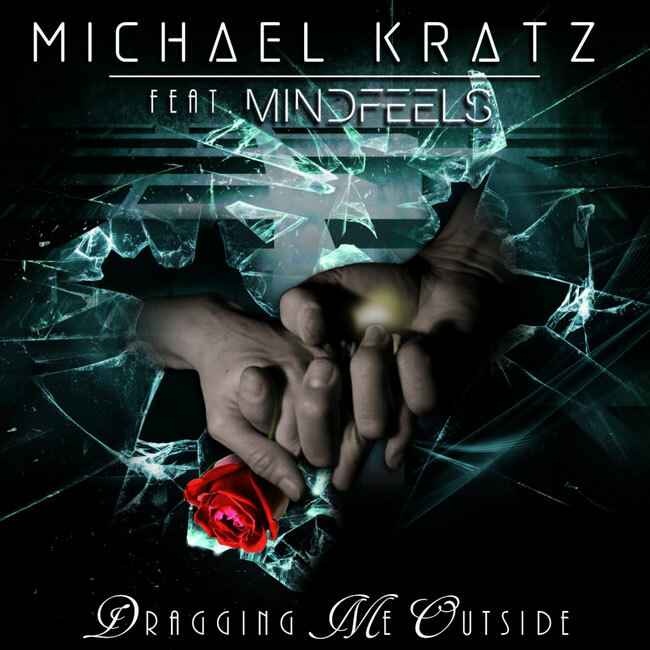 What happened between Michael Kratz and the guys of Mindfeels represents in the best way possible our actual label's philosophy, and I can't hide we're all really excited of this very promising collaboration. I truly hope this is going to be just the first step of a great artistic partnership"! BUY DIGITAL / STREAM NOW! "Dragging Me Outside" has been mixed once again by Kasper Viinberg @ Kawer Studio, while mastering has been handled by Torben Lysholm @ SnakeRock. The song will be performed live in an intimate acoustic version at the 2018 special summer edition of "A Melodic Rock Night" , which will take place on July 28, 2018 @ Pieve Ligure (GE - Italy). The outstanding cover art of the digital single has been provided by Aeglos Art (Michael Kratz, Airbound, Raintimes, Charming Grace).